NOTE: This post is neither a condemnation nor an endorsement for knockoff Lego products manufactured and sold in China. Any attempts to debate this issue in the comment section will be subject to deletion. From about the age of seven until I was eleven or twelve, I don’t think there was a single activity that I did more than building and playing with Lego. The pieces were strewn about my room, making it a veritable minefield and the vast majority of my collection consisted of Star Wars sets. My parents still have the sets and I hope to retrieve them as soon as my son is old enough, but for now they sit in storage. Recently though, I’ve been working to overhaul (or complete) my basement home theater. The bulk of my decor is set to be Star Wars themed, with some World War Two and sports items tagging along. I also had a coworker gift me a Lego-style coffee mug at Christmas this past year. 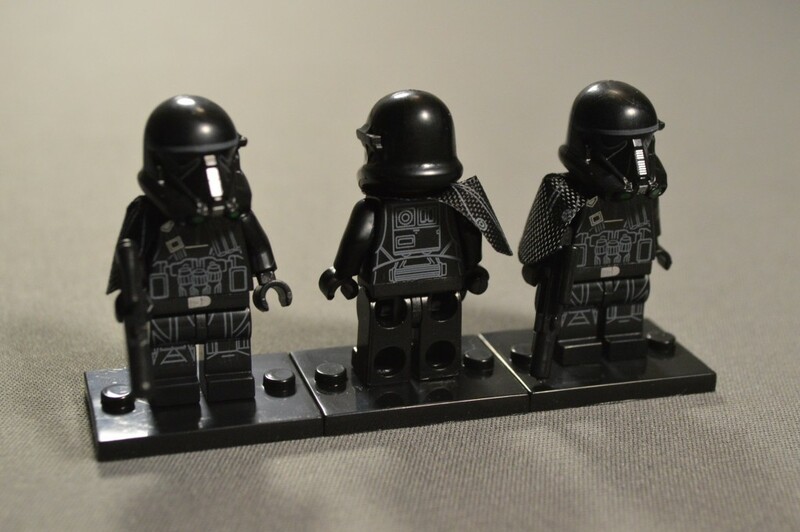 Inspired by the gift and need for additional pieces for the theater, I started to look for Lego Star Wars minifigures, only to find that many of the Lego originals that I sought were discontinued and very pricey from private sellers. 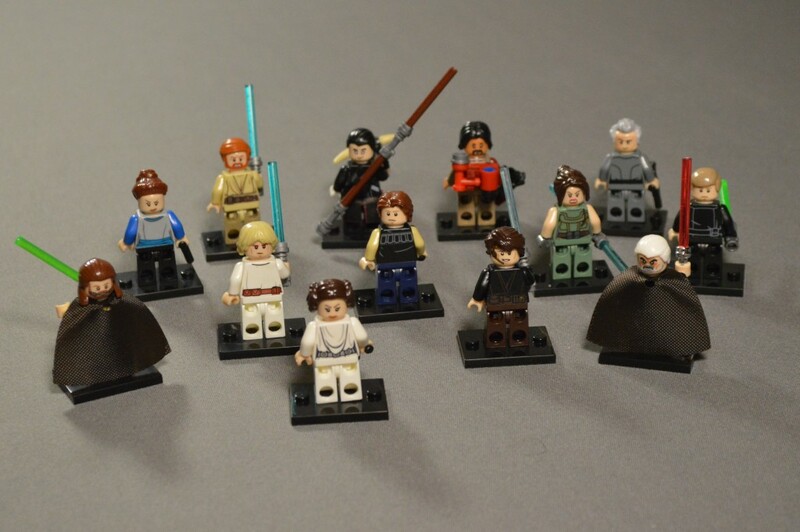 While looking for alternatives, I came across several types of bootleg minifigures from sellers in China. According to the reviews I could find, the pieces seemed to be of decent quality or at least good enough to adorn my theater or desk space. 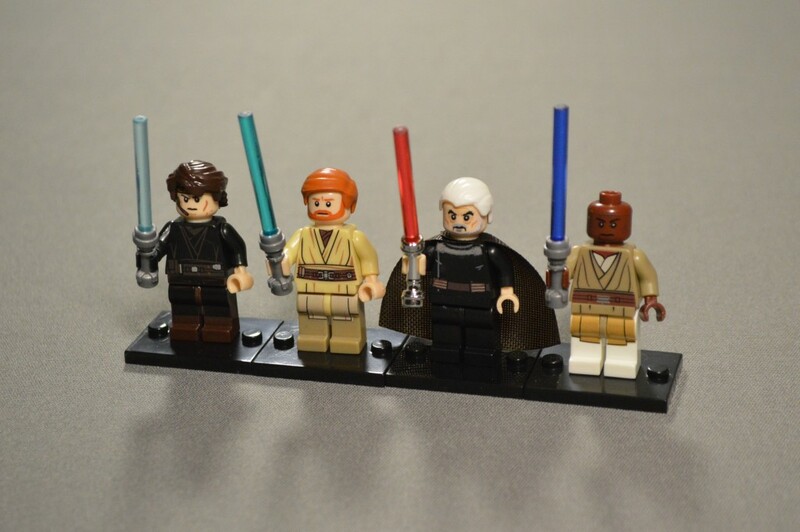 The most prominent knockoff brand that I could find for these goes by the name Pogo and they sell an impressive variety of Star Wars minifigs. Figuring I had little to lose, i grabbed a pile of of them. The best place I’ve found to get the Pogo minifigs, and any other brand for that matter, is Aliexpress. There are literally hundreds of sellers on there that list these and prices vary, but most characters can be found for less than $1. Most of the sellers offer free or very cheap shipping using ePacket, but it can take quite a while for the goods to arrive. For example, this shipment took around three weeks from order to door, but two of those were spent at the customs office in San Francisco. A few sellers do ship via DHL, which substantially reduces transit time, but that service usually carries additional cost. For the most part, the Pogo minifigs are very well constructed. Of all the knockoff minifigures, Pogo’s seem to have the best leg retention and friction, meaning the minifigs are easy to pose, but their legs don’t just swing freely. Some of my examples do feature legs that articulate easier than the Lego minfigs I own, but they aren’t horrible. 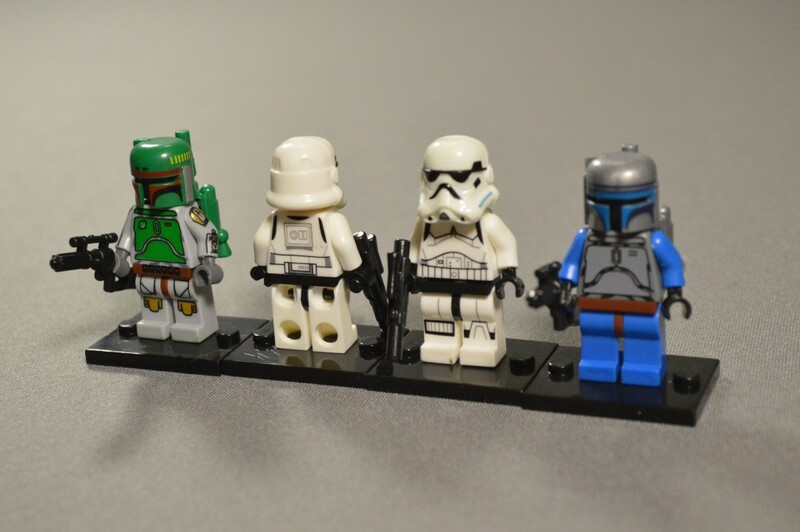 The worst of the bunch is probably my Jango Fett minifigure. You can also lift the minifigs off studs by the body and the legs won’t simply detach. Boba, Jango, and some Stormies. Jango’s legs are a little loose. One thing I have found is that the Pogo figures are quite difficult to attach to studs when in the seated position. It seems that the holes in the back of each character’s legs are just a bit too small. If you’re trying to display a Pogo minifig in the seated position, make sure you support the base plate or brick from below while attaching him/her. The arms on the Pogo examples are generally well tensioned, but not always consistent. Pogo’s hands attach nicely to each minifig and unlike other Lego clones, they actually snap in place. As is the case with the arms, most of the minifigures’ hands fit with just the right amount of friction. The only exception is my C-3PO model which has a very loose right hand. It’s barely strong enough to hold the included Death Star diagram without rotating. 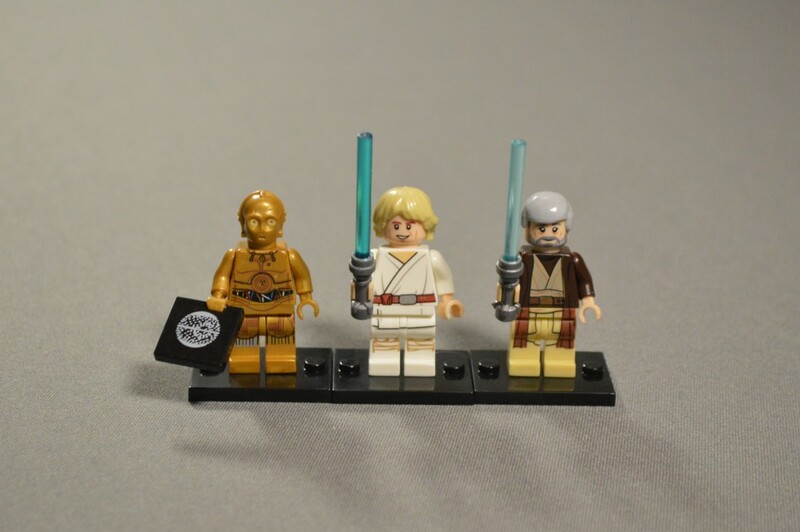 C-3PO, Tatooine Luke, and old Obi. 3PO’s right hand is very loose. Pogo’s heads are slightly differently shaped than their Lego counterparts. By this I mean that they are just a bit more square than the legitimate pieces. This causes fitment issues with some helmets and headpieces, which are usually pretty loose on the Pogo minifigs. This is especially true on my young Han Solo minfig, as his hair pops right off any time I grab him by the head. 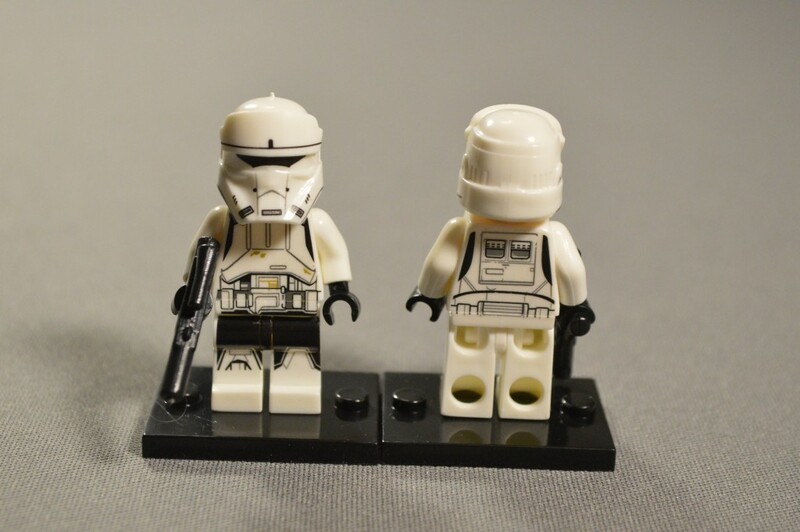 On the flip side, the Pogo Stormtroopers’ helmets won’t come off without bringing the heads with them. So to summarize, the slightly malformed heads can lead a variety of small frustrations. Some Shoretroopers. 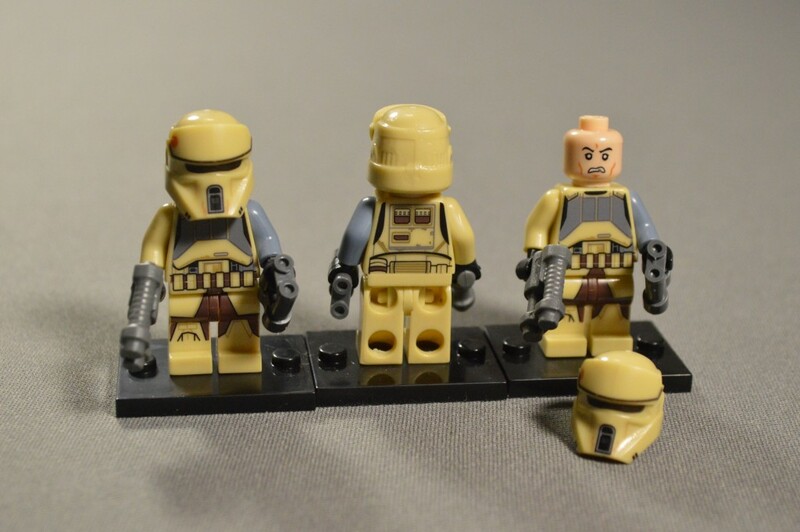 The Shoretroopers, Stormtroopers, Death Troopers, and Hovertank Pilots all feature the “angry clone” faces. Also, note how the Pogo heads are a bit more squared off than the true Lego ones. Another issue I have encountered on perhaps 15-20% of my Pogo minifigures is that the heads can be very tight on their respective bodies. That’s a problem if you want to use the alternate face. My Tatooine Padme is the worst of these and took some serious elbow grease to get to move. Tatooine Padme and Qui-Gon Jinn. Padme’s head was really, really tight on her body. 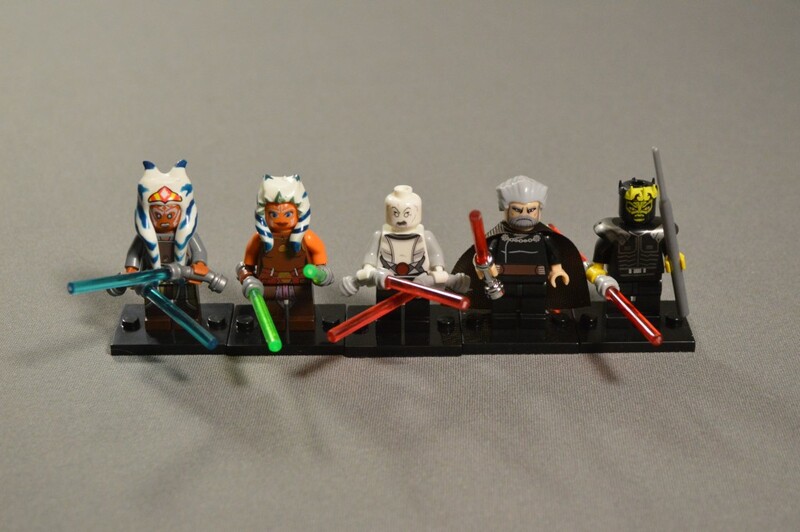 Pogo’s minifigures feature probably the best prints among all bootleg examples. I’m not sure there’s a whole lot more to say here other than Pogo comes very, very close to matching Lego in terms of print quality. Small imperfections occasionally crop up, but glaring ones are rare. Speaking of major misprints, I only noted a handful of issues with the group I ordered. Most notably, my Boba Fett has some green ink on his feet, which should not be there. Another problem I found with my assortment is that the Wolf Yularen replica sports a slightly crooked torso print. 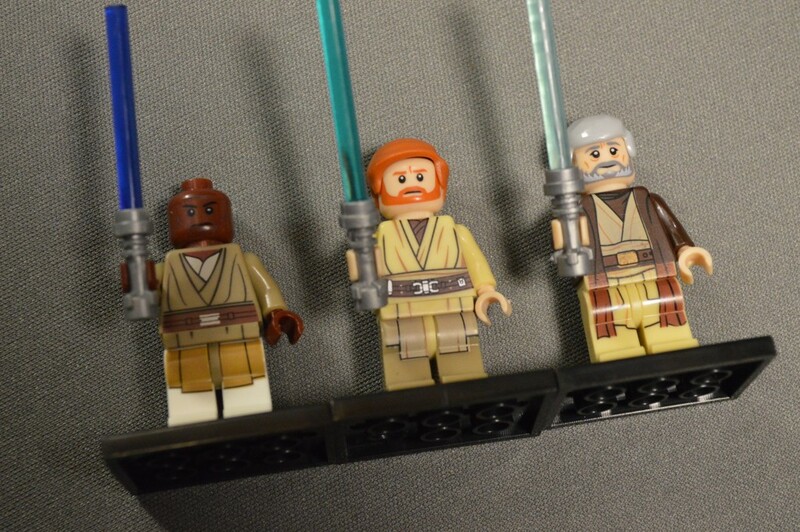 Finally, the robes which are printed on the legs of the young and old Obi-Wans and Mace Windu minifigures aren’t very good matches for the torso coloration. Pogo sometimes prints faces a little high or low on the heads, but the weight of the lines and colors are mostly good on all. As I see it, the most important factors to look for on minifigure prints are crisp lines and relatively accurate colors. Pogo seems to nail both of these. 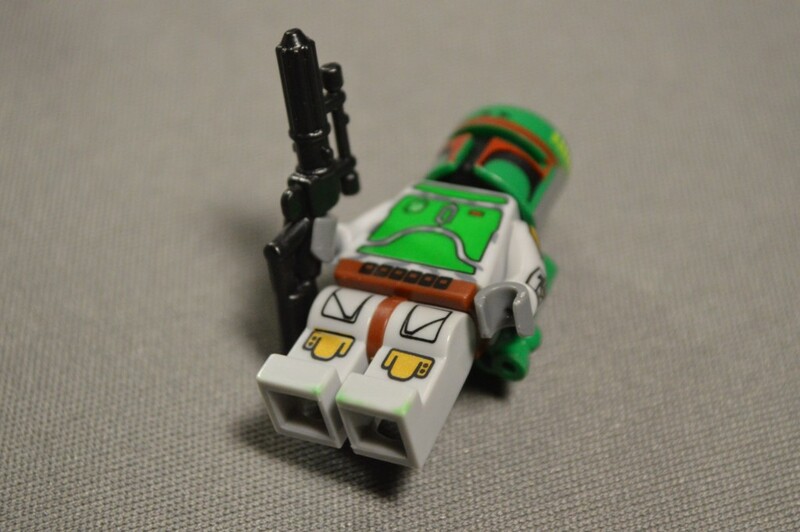 Boba has a green smudge on his foot. 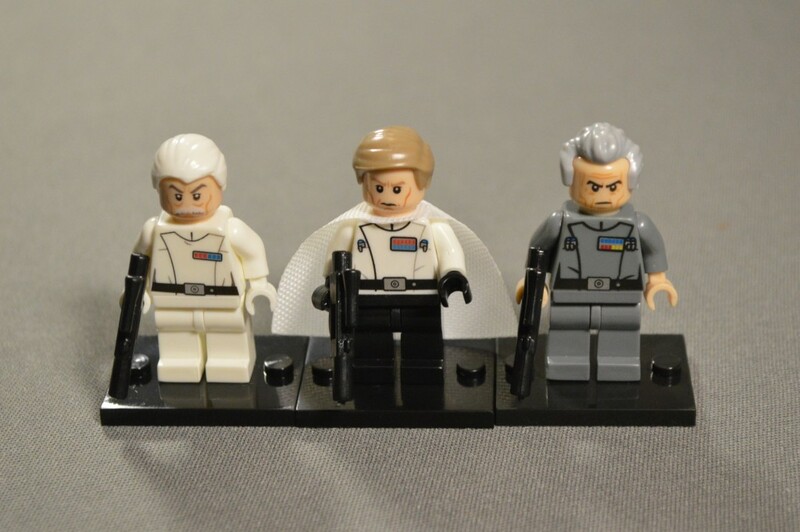 Wolf Yularen, Director Krennic, and Grand Moff Tarkin. Wolf’s torso print is a bit crooked. The colors on the leg robes don’t match very well. 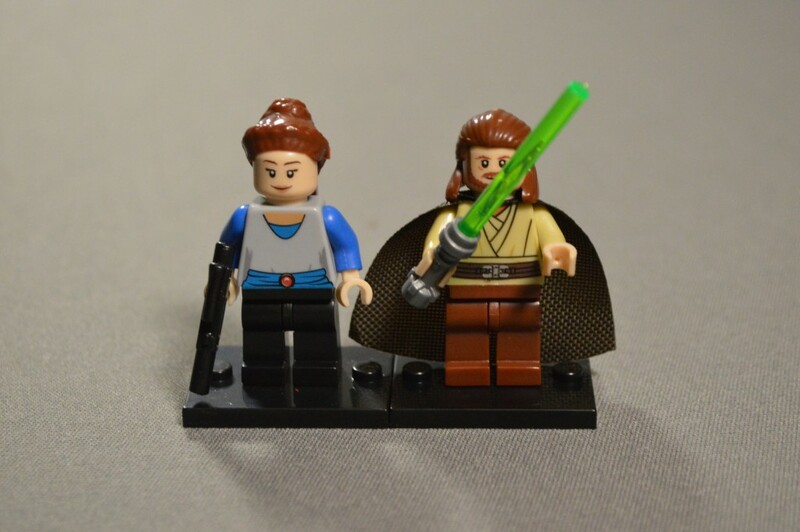 As I said at the top, I’m neither condemning, nor condoning these knockoff minifigures. Certainly, if at all possible the original Lego pieces are preferable for a wide variety of reasons. 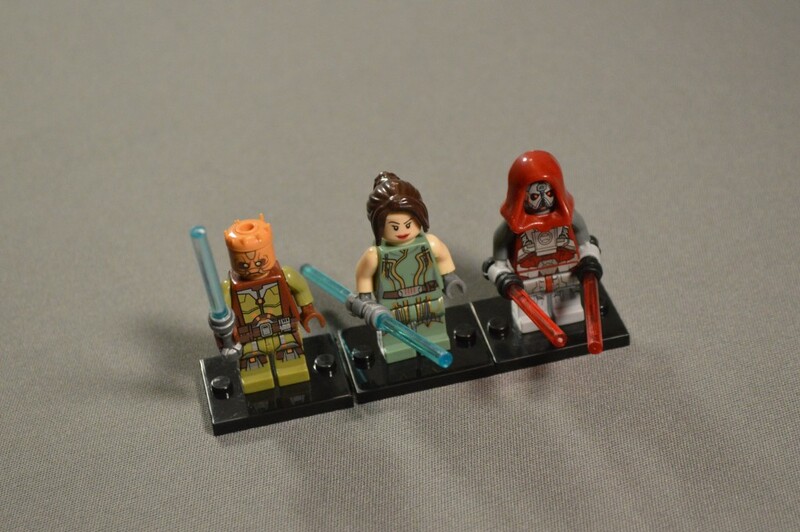 However, Lego has a tendency (as any company) to discontinue sets or make certain minifigures available only with large, expensive sets that sometimes aren’t all that appealing. Moreover, until Lego’s relatively recent introduction of minifig Battle Packs, army building was incredibly expensive for most people. Even still, individual Lego minifigs are only available on a limited basis. For the above reasons, I have no problem picking up these Pogo minifigures for display in the office and at home. While I own many of the original, legitimate versions of these characters, those figures are worth a pretty penny these days and I don’t exactly want to leave them laying around. 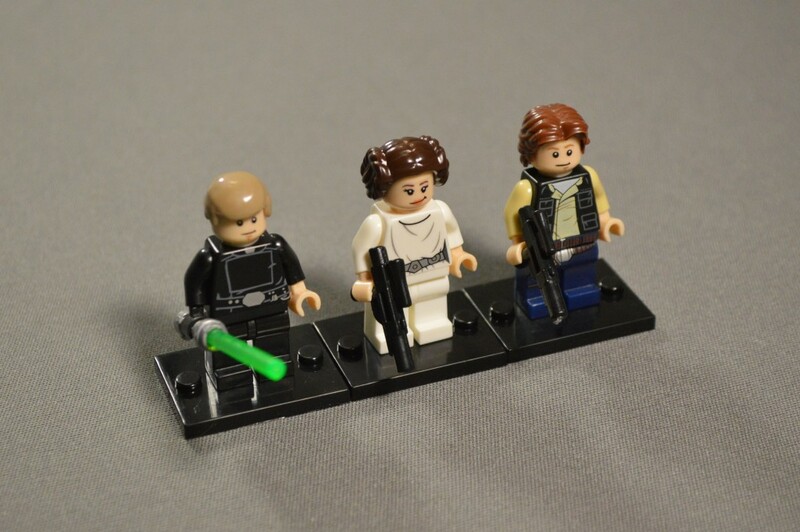 Some of the minifigs have alternate faces on the backs of their heads. As far as the knockoffs go, Pogo seems to be putting out the best overall product right now. 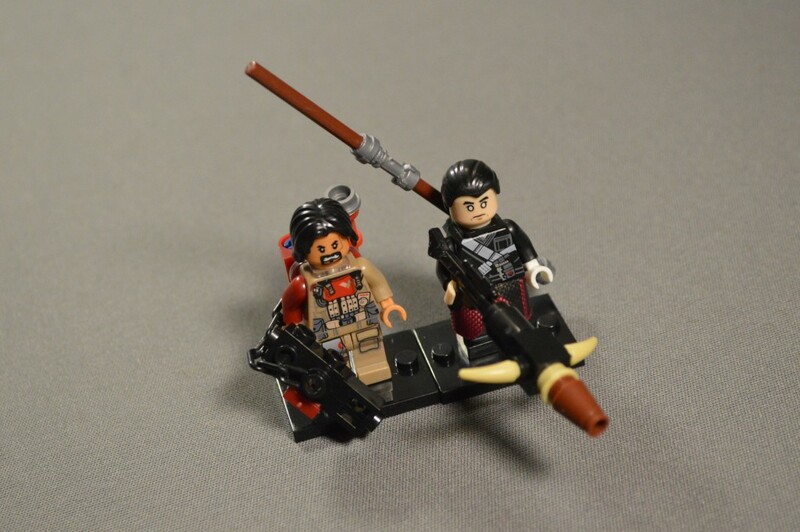 Xinh’s minifigures are good clones as well, but their build quality isn’t as consistent as Pogo’s. The price is also right; these can be found for as little as $0.65 each on Aliexpress. If you’re looking for some extra, individually packaged minifgures and aren’t concerned about legitimacy, I doubt you’ll be disappointed with Pogo’s offering.